A few articles back, I started an examination of the three stages of the path up the mountain. Stage one; The path Up The Mountain (https://senseijohn.me/2017/03/01/the-mountain-path-part-1-the-path-up/ ) and stage two: The View At The Top ( https://senseijohn.me/2017/03/15/the-mountain-path-part-2-the-view-at-the-top/ ).
. . . then Sisyphus watches the stone rush down in a few moments toward the lower world when he will have to push it up again toward the summit. He goes back down to the plain. It is during that return, that pause, that Sisyphus interests me. That hour like a breathing-space which returns as surely as his suffering, that is the hour of consciousness. If this myth is tragic, that is because its hero is conscious. It is that passage that first gave me pause to think about the journey down the mountain inferred in Ikkyu’s quote. What can we learn from the path down the mountain? How is it characterized? Zanshin – The martial state of mind of Zanshin (the remaining mind) plays an important role in this part of the journey. Having endured the path up the mountain and achieved the goal at the top, the journeyman must keep the intangible aspects of the goal with him throughout his days. He must draw upon it in times of need. He can use to to enrich the good times. He must never forget the experience. Responsibility – This is the objective manifestation of the subjective Zanshin. Having achieved the goal, the journeyman agrees to bear the burden of the successful journey. As the journeyman is better for having achieved his results, he must conduct himself in accord with that betterment at all times. 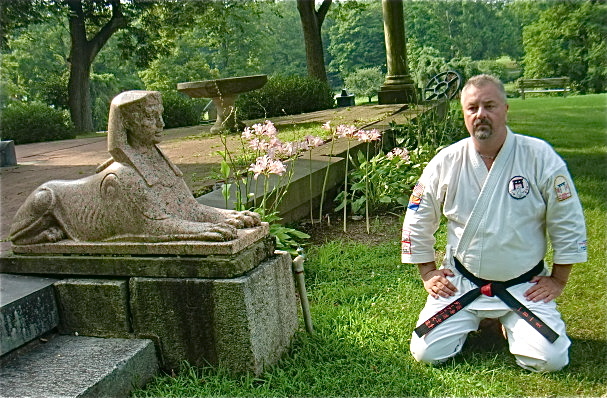 For example, one may have endured the path of attaining a black belt, and subsequently achieved the goal. 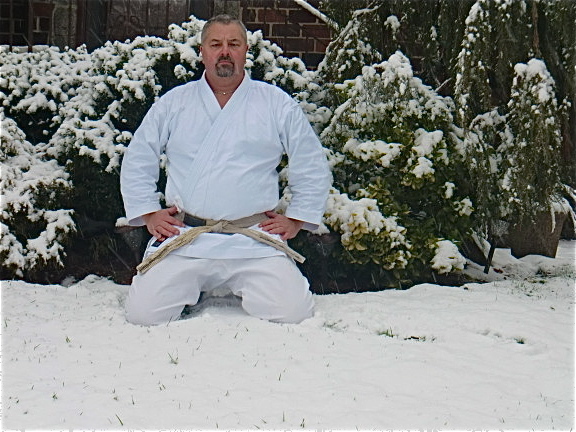 From that day forward, regardless of whether training in the martial arts continues, one must always conduct oneself as a black belt. Symbols and/or Entitlements – having achieved the goal, one may be entitled to distinguish oneself from those that did not by way of a symbol or entitlement. These aspects, in my opinion, are somewhat superfluous and superficial but are present nonetheless. 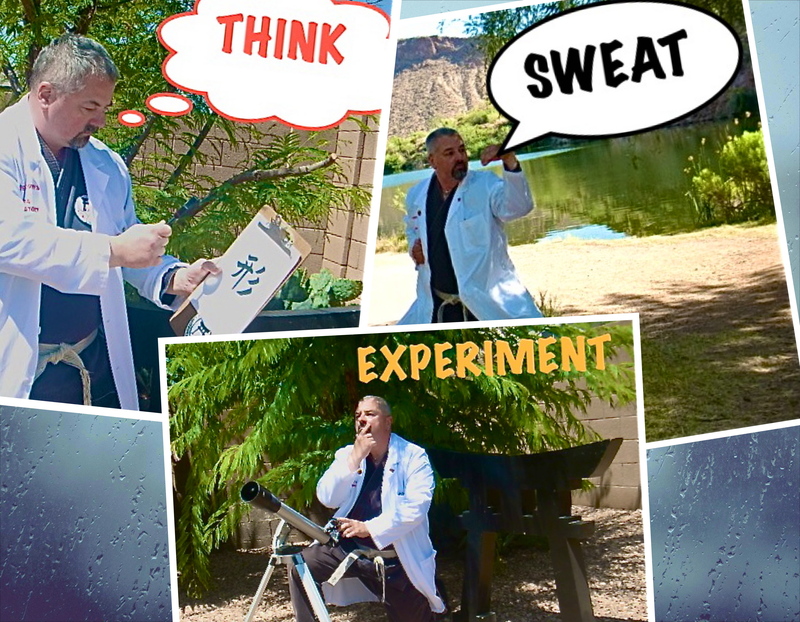 Examples include wearing the black belt, or a college degree, a title, etc. As to entitlements I recently saw an interesting entitlement. I was watching coverage of the 2017 Grand Sumo Tournament in Osaka, Japan. The coverage included a mini-documentary of newly promoted Yokozuna Kisenosato. Having attained Yokozuna status, Kisenosato is the first to eat at his training center. He eats alone and when finished the remaining wrestlers can then eat in accord to their rank. Simply put, “The pilgrim wants confirmation.” (see Endnote # 5). With that, I’m going to move onto my next mountain. I’m sure over time I’ll have some new thoughts and ideas on this topic, but for now there’s a new mountain waiting. “There are hundreds of paths up the mountain, all leading to the same place, so it doesn’t matter which path you take. The only person wasting time is the one who runs around the mountain, telling everyone that his or her path is wrong.” A Hindu proverb. 2. Krakauer, John, Into Thin Air: A Personal Account Of The Mount Everest Disaster, (Anchor Books, New York, NY, 1997) p. 332 (last paragraph in Chapter Thirteen). Please note, page references are to my the E-book which has adjustable type and may be different depending on the setting, thus they and may not be exact. Please see the Chapter reference in the body of this article. 3. Camus, Albert, The Myth Of Sisyphus And Other Essays, (Translated By Justin O’Brien) E-Book. p 121-124. 4. Nietzsche, Frederich, Beyond Good and Evil, Maxims and Interludes, Maxim # 143. 5. This quote is from another book I highly recommend by Jack Hitt, Off The Road: A Modern-Day Walk Down The Pilgrim’s Route Into Spain (Simon & Schuster, New York, NY 1994 & 2005) Chapter Eleven, page 733. Please note, page references are to my the E-book which has adjustable type and may be different depending on the setting, thus they and may not be exact. The within tale is an adaptation of an ancient Zen fable. It is; however, based upon actual events. Growing up in New Jersey the best part of the summer involved visits to the unique boundary where the Atlantic Ocean kisses the sand. Many a memorable summer day was spent on various beaches of the Atlantic Ocean from Cape May, New Jersey to the tip of Cape Cod, Massachusetts. My visits to the shore were not always recreational. 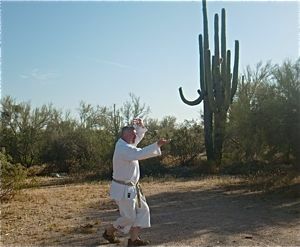 Most visits to the beach, I practice my Karate-Do kata. Sometimes, my karate students accompany me. It was in the mid-1990’s during one such training session that the following true events leapt from the pages of Zen fable into the physical realm. While training my students and I witnessed an encounter involving a seagull and a blue claw crab. In the original Zen fable, there was a fox, (represented by the seagull) and a rabbit (represented by the blue-claw crab). The tide washed a blue claw crab up onto the beach. A seagull, being ever vigilant, was quick to seize the opportunity. The seagull landed on the beach and chased the crab in an attempt to make the crab its dinner. The crab used its claws to fend off the seagull. The seagull took to the air to attempt an air assault upon its reluctant dinner guest. The crab raised is claws and scuttled to and fro. The battle continued in this manner. I asked my students, ”Who should win the fight?” They naturally said the seagull. After all, it was larger, stronger and given it had the capacity for flight, was more mobile than the crab. I informed my students that, according to an ancient fable, the crab should win. My students and I continued to watch the encounter. The fight continued with the crab fending off the sea gull. Eventually a large wave washed a-shore and carried the still fighting crab away to safety. The frustrated sea-gull flew away. My students asked “Why should the crab win?” The answer is simple. The seagull was fighting for its dinner, but, the blue claw crab was fighting for its life. 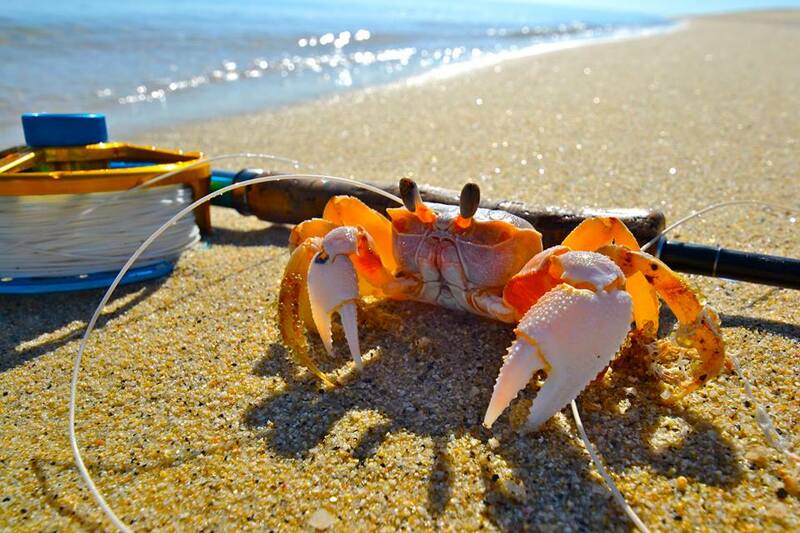 The crab must win because it had more at stake in the confrontation. Simply stated, the winner of a physical confrontation between an aggressor and the person forced to defend against attack would be the person with the most to lose in the confrontation. Bonus Seienchin Kata Video – With Wild Horses! 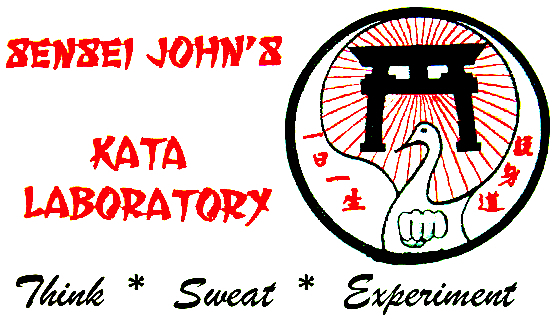 For a refreshing and innovative discourse on kata and bunkai, please feel free to visit Sensei John’s Kata Laboratory and “THINK * SWEAT * EXPERIMENT” using this convenient link: https://senseijohn.me/category/kata-laboratory/ For the full Kata Laboratory Table Of Contents, please visit the “Kata Laboratory” page tab above. © Copyright 2010 and 2015 Issho Productions & John Szmitkowski, all rights reserved. I hope you enjoyed one of the many martial tales I grew up with. 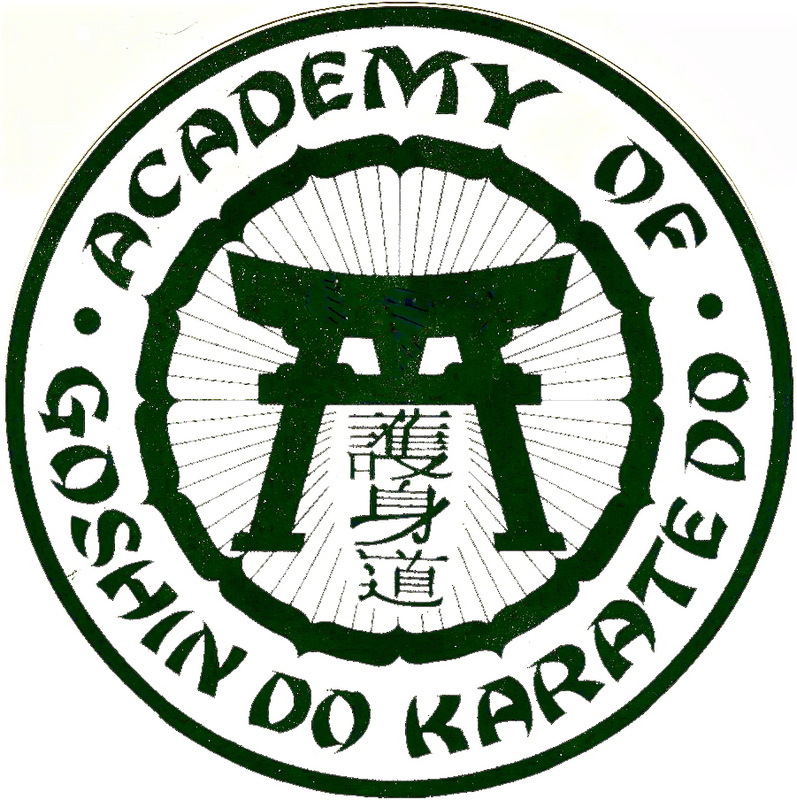 For your consideration, I submit one of the many oral myths from the Goshin-Do Karate Dojo. Enjoy. One day a farmer’s donkey fell down into a well. The animal cried piteously for hours as the farmer tried to figure out what to do. Finally, he decided the animal was old, and the well needed to be covered up anyway; it just wasn’t worth it to retrieve the donkey. He invited all his neighbors to come over and help him. They all grabbed a shovel and began to shovel dirt into the well. At first, the donkey realized what was happening and cried horribly. Then, to everyone’s amazement he quieted down. A few shovel loads later, the farmer finally looked down the well. He was astonished at what he saw. With each shovel of dirt that hit his back, the donkey was doing something amazing. He would shake it off and take a step up. As the farmer’s neighbors continued to shovel dirt on top of the animal, he would shake it off and take a step up. Pretty soon, everyone was amazed as the donkey stepped up over the edge of the well and happily trotted off! I hope you enjoyed one of the many martial tales I was privileged to have grown up with.